Suzy Klein is joined by renowned French-Canadian pianist Louis Lortie and cellist Natalie Clein. Plus the unveling of a new blue plaque in London dedicated to Haydn. 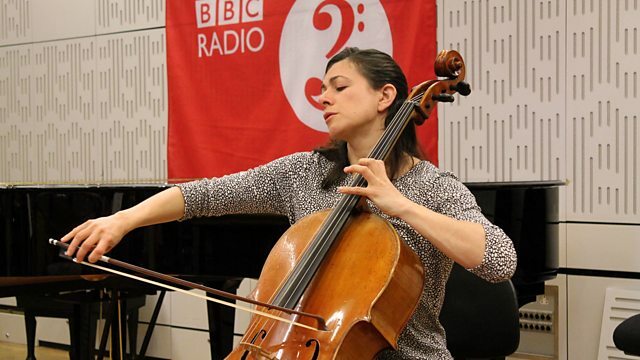 Suzy Klein with arts news, chat and live music from guests including world-renowned French-Canadian pianist Louis Lortie ahead of a hotly anticipated recital at London's Wigmore Hall, and cellist Natalie Clein. Plus the show visits the unveiling of a new blue plaque marking the place where Haydn stayed on his first visit to London. Performer: Alison Balsom. Performer: German Chamber Philharmonic. Conductor: Neeme Järvi. Performer: Louis Lortie. Performer: Philharmonia Orchestra. Conductor: Karel Mark Chichon. Performer: Deutsche Radio Philharmonie Saarbrücken Kaiserslautern. Performer: Alexei Grynyuk. Performer: Leonard Elschenbroich. Performer: Anthony Marwood. Performer: Natalie Clein. Conductor: Sir Andrew Davis. Performer: BBC Philharmonic. Conductor: Neville Marriner. Performer: Academy of St Martin in the Fields.